I wanted to make a thread here to find-out if anyone will be attending [i]Saboten Con[/i] which will take-place from September 30th - October 2nd, at the Hilton Sqaw Peak Resort in Phoenix, AZ. If you are planning on attending, please reply and if you plan to cosplay, what costume(s) will you be wearing? I'll be there on Sunday as one of the ghosts from Fatal Frame 3! Hello! Ill be there probably as a Maid Miku Hatsune, and Mion from Higurashi. Who's almost ready? 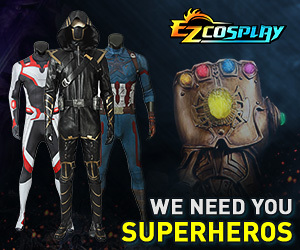 Please post your costume progress & finalized-cosplay list/schedule if you can. I'll be there on Thursday afternoon to scope-out the location, and if anyone is cosplaying on Day Zero, I'll be taking pictures.